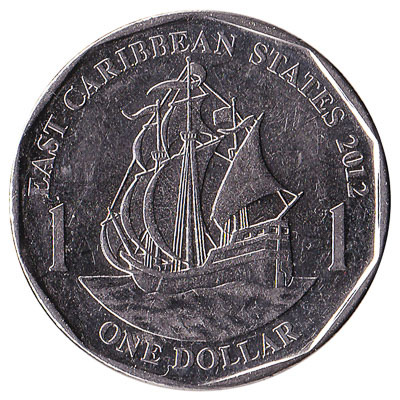 Convert your leftover East Caribbean Dollar coins to cash using our hassle-free online exchange service. 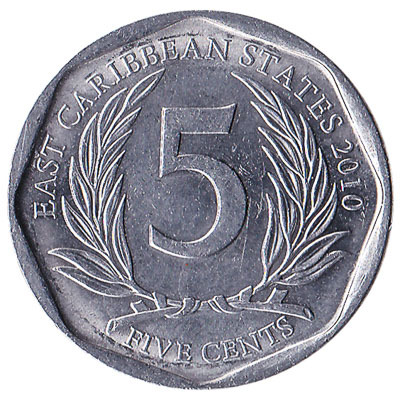 Get paid fast for your unused currency from the Eastern Caribbean States. 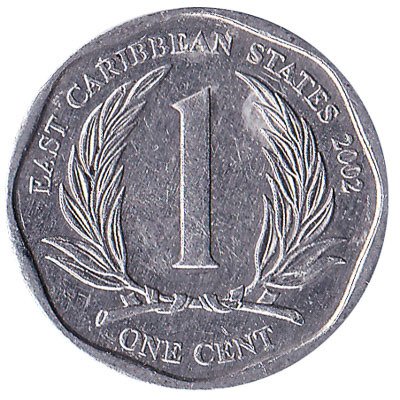 Coins from 5 cents to $1 dollar are in use today in the East Caribbean States. Coins of 1 cent and 2 cents were withdrawn from circulation in 2015, but we continue to exchange them. 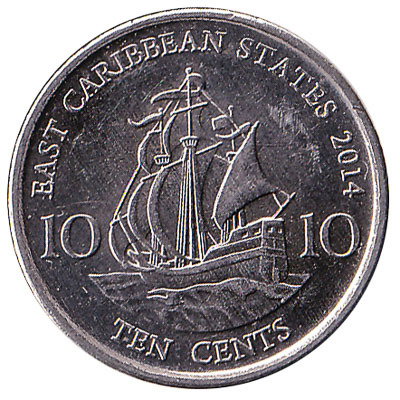 One Eastern Caribbean dollar is the equivalent of 100 cents. The three highest value coins feature the sailing ship ‘Golden Hind’ of the English explorer Sir Francis Drake. 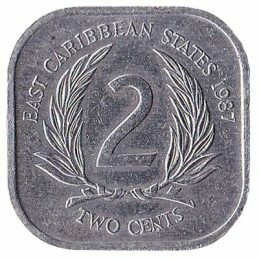 All coins have the portrait of Queen Elizabeth the Second, head of the Commonwealth. 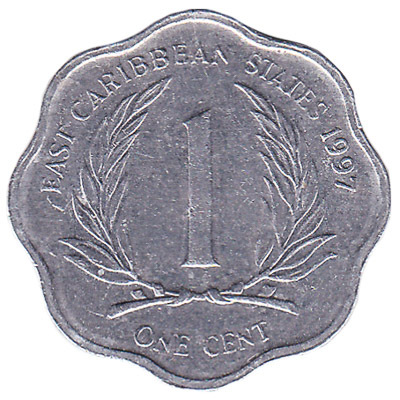 In addition to $EC dollar and cent coins, we also exchange current Eastern Caribbean dollar banknotes and previous series XCD banknotes. 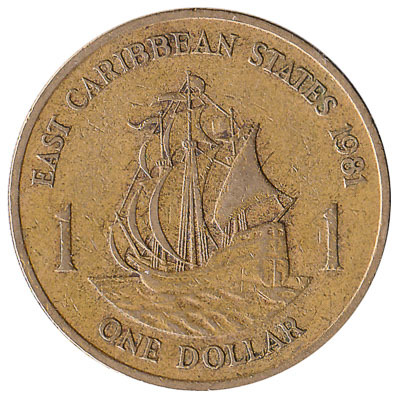 Do you have East Caribbean Dollar coins like the ones in the pictures below? Add the amount you want to exchange to your Wallet. 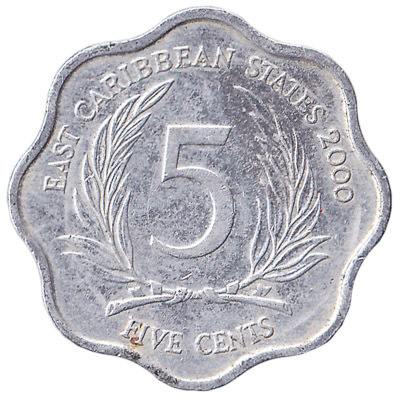 You'll see exactly how much money you'll get for your Eastern Caribbean Dollars. Click on the Wallet symbol to complete checkout and get paid within 5 days of receiving your currencies. 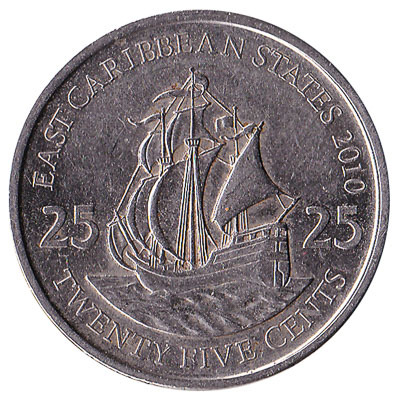 The older 2c Eastern Caribbean coin has a square shape with round corners. It is made of aluminium and has a weight of 1.1 grams.